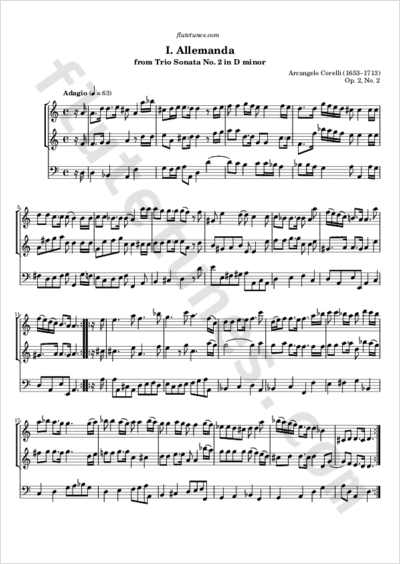 This allemande is the opening movement of Italian Baroque composer Arcangelo Corelli's Trio Sonata No. 2 in D minor, published in 1685. Corelli was a violinist, and this sonata was originally scored for two violins and continuo; however, it can be played without issues by two flutes.